Legally carrying a weapon in North Carolina requires careful consideration of some pretty complex laws. Failure to comply may result in criminal charges. It’s a good idea to consult with NC Gun Rights Lawyer Danny Glover. If you’ve recently been served with a DVPO – Domestic Violence Protective Order (50B Order as lawyers call them) or have some other form of gun charge like CCW Gun on the Outer Banks, give Danny a call. 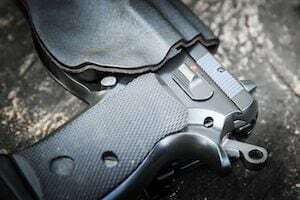 Can I own or Possess a Gun in North Carolina? You’ve probably seen one of several different news reports about all the new gun control laws across the country. Rather than refer to them as what they are, seizure laws, activists are calling them Red Flag Laws. Depending on the state you’re in, the purpose for such legislation is to prevent possible danger to others and even the gun owner, based on allegations of potentially dangerous behavior. Under such gun laws, a Judge may Order the removal of firearms when someone may be deemed a danger to themselves or others. The Courts necessarily would consider the actions of the gun owner and possible statements they have made in the past. The key is, guns may be seized outside the presence of the gun owner and without the opportunity to be heard. Proponents of the law argue that the gun owner may eventually be able to regain their firearms, after a hearing, and that the seizure is only temporary. Obviously, that’s after the fact. The Court is thereafter burdened with the responsibility of returning weapons to someone who been accused of being be a potential danger. It does not require the filing of criminal charges or even a formal adjudication of mental incompetency. Pursuant to the NC gun laws, it’s against the law to possess a firearm if you’re a convicted felon. That’s true also if you’ve previously been found Not Guilty of criminal charges by reason of insanity or other mental infirmity. In the event a Court has issued a 50B Domestic Violence Restraining Order against you, even on a temporary basis, it’s also illegal to possess guns. In fact, the Court in its Order may direct the Sheriff where you live to come to your home and seize your firearms (guns). Certain domestic violence charges, if convicted, may result in a restriction from firearm possession. If you’re not absolutely positive what to do about buying, carrying, or owning a firearm in North Carolina, please make sure to seek legal counsel before doing so. There are serious criminal charges in place that can result in long-term problems and consequences if you’re convicted. Are there NC Red Flag Laws? North Carolina has not yet formally adopted a “Red Flag Law” per se. But there are similar laws on the books that prevent possession, ownership, and/or carrying of weapons in certain circumstances. As stated, under Chapter 50B of the general statutes, an Ex Parte motion may be sought to seize firearms, in addition to other traditional provisions associated with Domestic Violence Restraining Orders. Such Orders are said to be “temporary.” They may last for only 10 days before a formal hearing, with notice being given to the Respondent by way of Service of Process. It is most certainly not the same standard for criminal charges, which is proof Beyond a Reasonable Doubt. What States have Red Flag Laws? 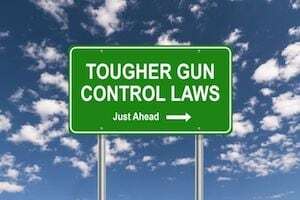 Several states have already enacted Red Flag Laws, including Indiana, Florida, Washington State, Vermont, Maryland, and Oregon. If you live and work on the Outer Banks, Danny Glover is here to help. He provides free and confidential consultations regarding legal matters involving the NC Gun Laws.